Buried deep in the rugged Alaskan wilderness lies a secret that could alter the future of mankind - a secret that billionaire Elizabeth Grey has invested millions in solving. 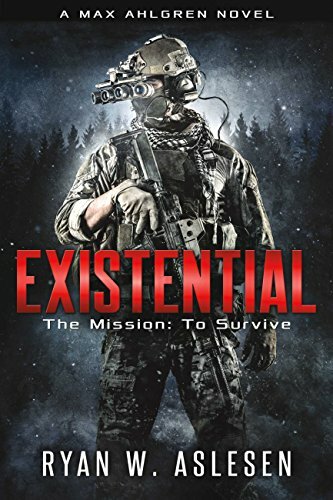 When the dig goes silent and all attempts at making contact fail, an elite team of battle hardened military contractors is brought in led by former Marine Max Ahlgren, a warrior haunted by his past. The mission: to make contact and rescue a team of scientists and engineers working on a secretive "archeological" project. Once on the ground, the team discovers the grizzly truth that this is no ordinary rescue mission. In what was supposed to be an easy pay day, Max and his men find themselves in the fight of their lives against a nightmarish enemy like nothing they have ever seen. The mission becomes a struggle for survival as the world's greatest soldiers encounter the universe's ultimate terror in a battle that puts all of humanity at stake.